7 Commonwealth is located on the north side of Commonwealth, between Arlington and Berkeley, with 5 Commonwealth to the east and 9 Commonwealth to the west. 7 Commonwealth was built ca. 1861, one of two houses (7-9 Commonwealth) built at the same time in a symmetrical design, each with a bay extending through the mansard roof. 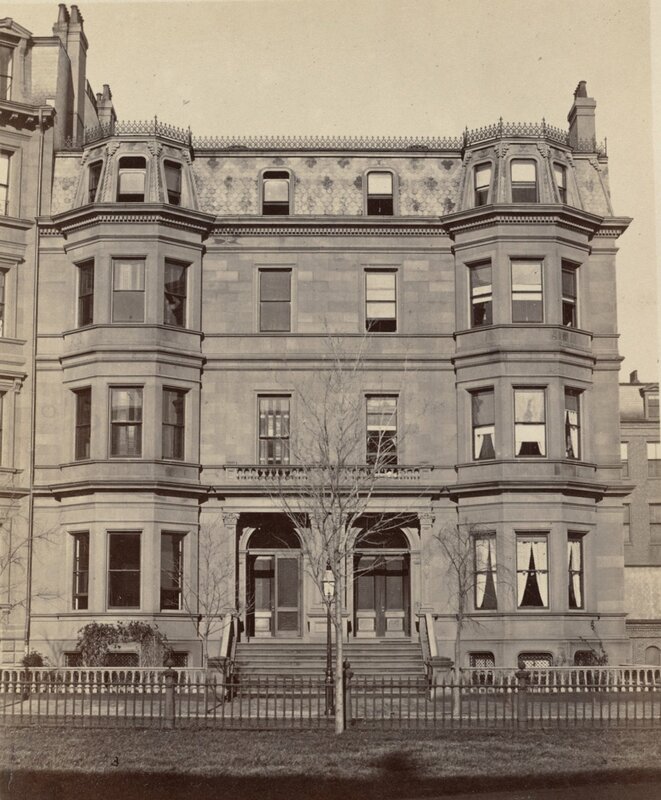 7 Commonwealth was built as the home of Samuel Johnson, Jr., and his wife, Mary (Stoddard) Johnson, and 9 Commonwealth was built as the home of Richard C. Greenleaf and his wife, Mary (Whitney) Greenleaf. Samuel Johnson and Richard Greenleaf were partners in the wholesale dry goods firm of C. F. Hovey & Co.
Click here for an index to the deeds for 7 Commonwealth. The Johnsons previously had lived at 24 Pemberton Square. Their two sons, Wolcott Howe Johnson and Arthur Stoddard Johnson, lived with them. 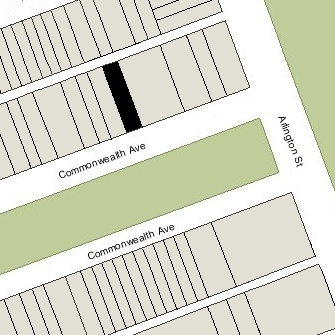 The property immediately to the east of 7 Commonwealth was vacant, kept as open space by Abbott Lawrence of 5 Commonwealth. Samuel Johnson had a window installed in the party wall and, on June 3, 1875, entered into an agreement with Abbott Lawrence specifying that the window would be removed at the expense of the owner of 7 Commonwealth if ever requested by the owner of 5 Commonwealth. Additional windows subsequently were installed, and similar agreements were entered into between the owners of the two properties on November 17, 1900, and November 27, 1906. Mary Johnson died in February of 1891. Samuel Johnson and their sons continued to live at 7 Commonwealth. Arthur Johnson married in April of 1895 to Jennie Maria Blake and they moved to 258 Commonwealth. Wolcott Johnson married in October of 1895 to Fanny J. Betts and they moved to 302 Berkeley. Samuel Johnson continued to live at 7 Commonwealth, joined in about 1898 by his sister, Mrs. Mary (Johnson) Phelps, the widow of Rev. Austin Phelps. who had been a professor at Andover Theological Seminary. Samuel Johnson died in August of 1899. By 1900, 7 Commonwealth was the home of Wolcott and Fanny (Betts) Johnson. 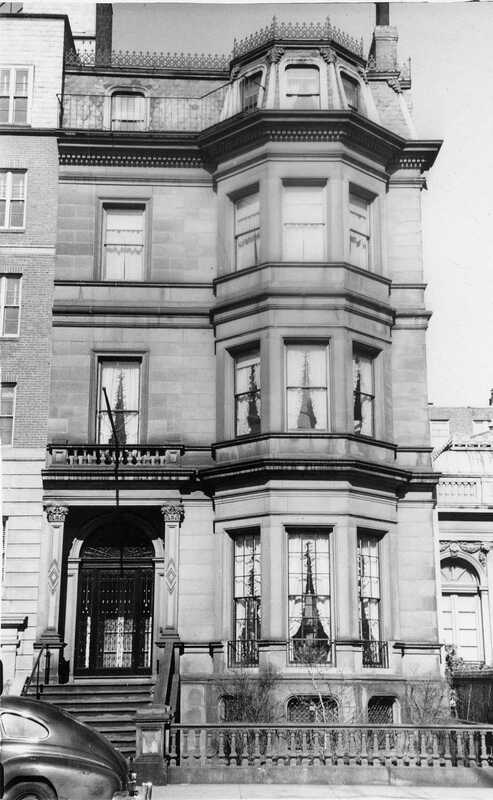 In 1899, they had lived at 217 Beacon. Wolcott Johnson was a dry goods merchant in his father’s firm. Wolcott Johnson died in January of 1912. Fanny Johnson continued to live at 7 Commonwealth. During the 1921-1922 winter season, she was living elsewhere and it was the home of Sullivan Warren Sturgis, a teacher in Groton, and his wife Edith (Barnes) Sturgis. 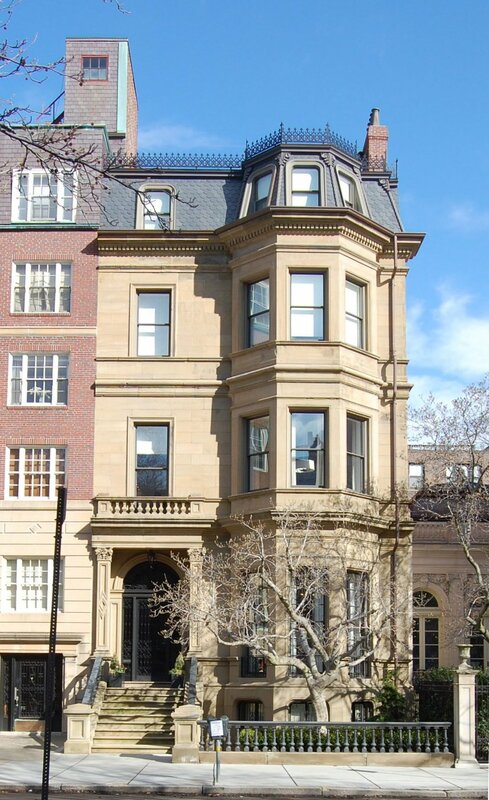 In 1920, they had lived at 336 Beacon (their principal residence was in Groton). Fanny Johnson continued to live at 7 Commonwealth until her death in July of 1928. By the 1928-1929 winter season, 7 Commonwealth was the home of Mrs. Mary Shreve (Ames) Frothingham, the widow of former Lt. Governor and Congressman Louis Adams Frothingham, who had died in August of 1928. Her brother, John Stanley Ames, lived at 3 Commonwealth. On May 27, 1929, Mary Frothingham purchased 7 Commonwealth from Wolcott Johnson’s estate. In July of 1929, she applied for (subsequently received) permission to remove a section of the rear basement wall and build a one-story addition, seven feet by 14 feet, for use by her servants. The addition was designed by Bigelow, Wadsworth, Hubbard, and Smith. Mary Frothingham also maintained a home in North Easton, where her family had founded the Ames Shovel Company. 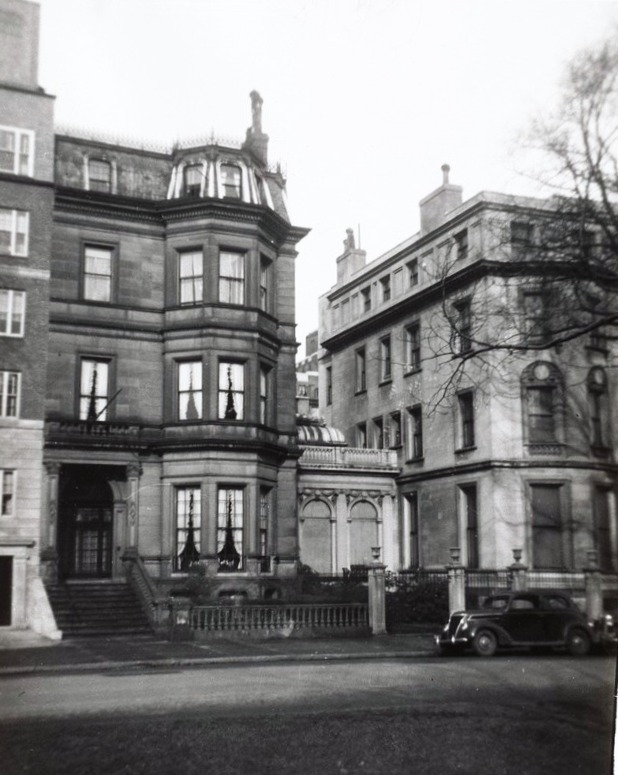 She continued to live at 7 Commonwealth until her death in May of 1955. On January 10, 1956, 7 Commonwealth was purchased from Mary Frothingham’s estate by Frederick L. Arata, a retail liquor dealer and real estate investor, and his wife, Annette Flossie (Crovo) Boggiano Arata. They lived in Brighton. In May of that year, he applied for (and subsequently received) permission to convert the house from a single-family dwelling into a 12-unit apartment building. On June 21, 1960, 7 Commonwealth was purchased from Annette Arata by Sara Spiller, trustee of the Arjay Realty Trust, and on December 29, 1960, it was purchased from the Arjay Realty Trust by Henry Fluster, an investment and mortgage broker. He lived in one of the apartments. On May 25, 1977, 7 Commonwealth was purchased from Henry Fluster by Marie A. (Forcina) Maniglia, widow of Angelo Forcina, and their son, Frank A. Maniglia, both of Somerville. Henry Fluster continued to live at 7 Commonwealth until his death in October of 1977. On June 10, 1977, Frank Maniglia transferred his interest in 7 Commonwealth to Marie Maniglia. 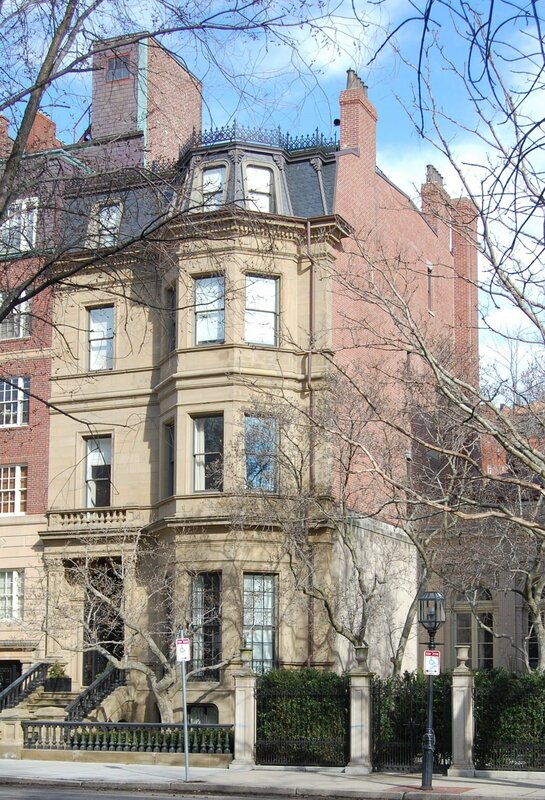 On September 14, 1977, she transferred the property to her son, Joseph S. Maniglia, as trustee of the Fam Trust. On March 30, 2006, 7 Commonwealth was purchased from Joseph S. Maniglia, trustee of the Fam Trust, by the 7 Commonwealth LLC (Steven A. Ostrow, manager of record). On April 2, 2007, 7 Commonwealth was purchased from the 7 Commonwealth LLC by the EREM LLC, formed by venture capitalist Bruce R. Evans and his wife, Bridgitt Bertram Evans, a real estate developer. In July of 2007, EREM LLC filed for (and subsequently received) permission to convert the property back into a single-family dwelling. 7 Commonwealth remained a single-family dwelling in 2015.